Notebooks feature a lot of hardware in a tiny enclosure and have only limited cooling. If you regularly use a notebook you've probably already noticed that these machines can get quite hot. A notebook cooler is one of the easiest ways to lower the temperature of your notebook. 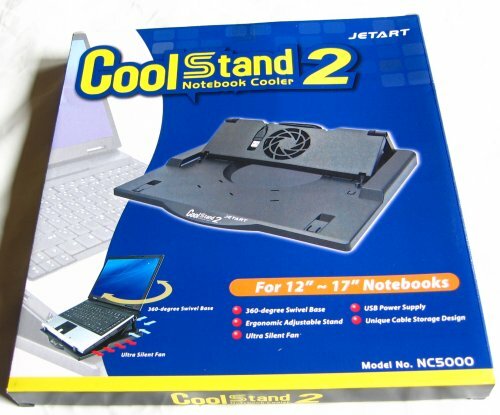 In this review I take a closer look at the Jetart CoolStand 2 NC5000. This is a multifunctional cooler with 360-degree swivel base and adjustable ergonomic stands. The CoolStand 2 ships in a flashy cardboard box. 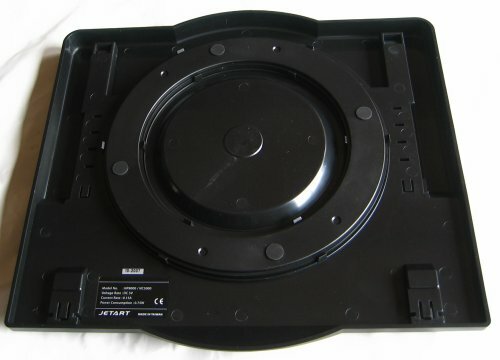 According to the specifications the product features an ultra silent fan and can be used with 12"-17" notebooks. 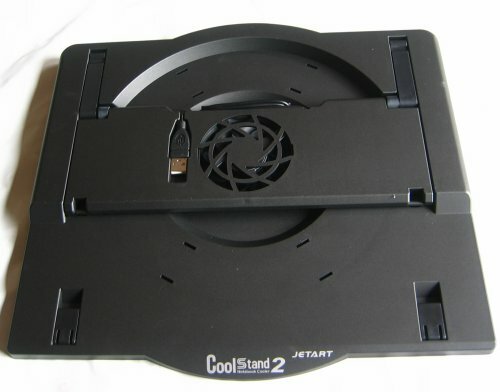 One of the special features of the CoolStand 2 is it's 360° swivel base. That's a pretty nice feature if you quickly want to show something to a friend or colleague. The base also has some rubber feet to prevent slipping.